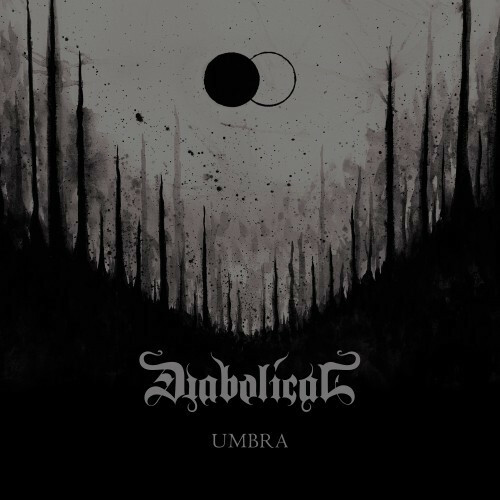 Diabolical’s new EP Umbra — which we give you the chance to hear in full today — is a multifaceted obsidian gem. Atmospherically forbidding and possessed of a grim, doomed grandeur for most of its length, Umbra is also savage — and at times wistful and meditative. It’s so well-conceived and expertly performed that it has the capacity to carry listeners away and hold them in thrall, while also triggering fierce surges of adrenaline. This has been one of those weeks where my blog time was severely constricted by both personal and job-related demands. You might have guessed that, based on the complete absence of any “seen and heard” posts since Monday. I didn’t have time to do much more than quickly scan through the interhole each day looking for new song and video premieres and make lists of what I’d like to hear and see when time would permit. This morning, I finally crawled through that list, and found a shitload of new things I really liked. Because I’m behind, and because I don’t want to fall further behind, I’m taking the wimp’s way out in this post. I’m just going to stitch together a bunch of recommended song and video streams (11 of them) with almost no commentary. It’s a stream dump, and I will bet money you’ll find something to like, almost regardless of your tastes. It’s spring, and metal is in bloom. Salted within this list are a couple of news items that perked my interest, even though there’s nothing available to hear… yet. Continuing a round-up that I began yesterday, here are new songs, new videos, and an enticing piece of news that caught my eyes and ears since the last weekend began. They share a certain . . . darkness . . . at their core. I’ve been waiting with bated breath for Diabolical’s new album Neogenesis since hearing a collection of pre-production excerpts released during the summer of 2012 (featured here). I say that without knowing precisely what bated breath means, but I presume it smells better than baited breath. In any event, Neogenesis is finally on the verge of release (the official date is September 27), and to build anticipation Diabolical have released a music video for a track named “Metamorphosis”. While browsing the interhole this morning in an effort to find something that would cheer me up in the wake of learning about the cancellation of the Gojira-LambOfGod-Dethklok tour, I happened upon two new videos that helped considerably. 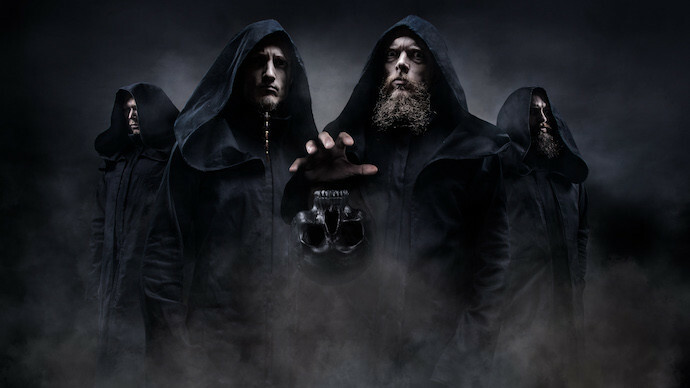 By coincidence, both involve bands whose new music carries an air of dark symphonic grandeur, while inflicting vicious body blows at the same time: Diabolical (Sweden) and Welicoruss (Russia). Diabolical are a Swedish death metal band with three studio albums and a live recording (2011’s Ars Vitae) to their credit. They’re now in the process of recording a new album entitled Neogenesis. Today, they released a video that includes pre-production excerpts from a few of the new songs, and the music is sounding really fucken good. The music is a dark kind of melodic death metal, frequently with a black metal sheen. Whether galloping at a furious pace or stomping with imperial might, it’s infernally majestic. The vocals are deep and bestial and the riffing is titanic. But the band also spin sweeping melodies, and they leaven the blasting with soft spaces that include the mournful sound of violins. Through the guitars, subtle keyboard additions, and even choral clean voices, they also create a symphonic aura around this very ominous and apocalyptic metal. November is now in our rear-view mirror. December lies ahead of us: A perfectly good stretch of road marred by the speed bumps of the cataclysm that is Christmas. And on the other side of those speed bumps is the end of the year – the roadkill that is New Year’s Eve. And you know what the run-up to year-end brings — year-end lists. It’s already started, but the coming weeks will bring us a slew of Best of 2010 album lists. We’ll probably do our own Best of 2010 list — not the best albums of the year, but, as we did last year, the most infectious extreme metal songs of the year. But we’re not quite ready to launch that list. Instead, we’re looking off into the future, not backward at the music that’s rattled our skulls over the past year. 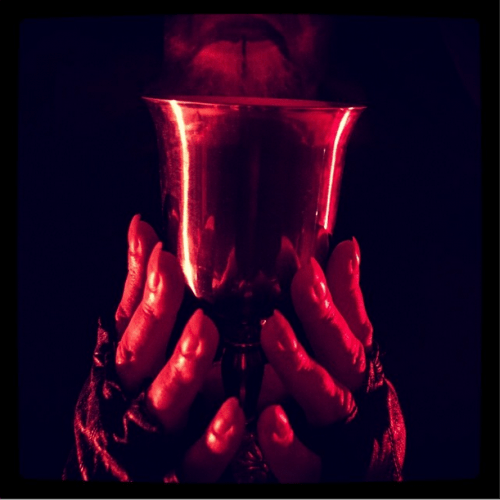 Yes, it’s time for another monthly installment of METAL IN THE FORGE, in which we cobble together a list of forthcoming new albums, cribbing like rag-gatherers and lint-pickers from PR releases and metal news sites like Blabbermouth in order to construct a line-up of new music that we’re interested in hearing. All of our previous monthly updates can be found via the “Forthcoming Albums” category link on the right side of our pages, and because we’re not keeping a cumulative list, you might want to check the last couple months of these posts if you want to get a full picture of what’s coming. The list that follows, in alphabetical order, are albums we didn’t know about at the time of our last installment, or updated info about albums we’d previously heard were on the way. After the jump, of course . . .